The model building codes (IBC and IRC – International Building Code and International Residential Code) require enclosed attic spaces, in most cases, to have ventilation. The most efficient ventilation design solution is to have enclosed vented soffits at the eaves as an air intake, and a vented ridge as an air exhaust. In order for this system to work effectively a minimum of a one inch air space has to be maintained from eave to ridge across the top of the attic insulation. For traditional stud wall frame buildings with trusses or rafters every two feet, this air channel can be maintained by prefabricated eave baffles which block the insulation from tumbling into the soffits. There are numerous materials used for these baffles, each of which has its own good and bad points. But what about post frame construction? With trusses at a myriad of different spacings, due to engineering design or builder preference, there is not a one size fits anyone solution to maintain airflow. Energy efficiency is a high priority for new building owners, making arriving at solutions which are as painless as possible a prime directive for post frame designers. In order to maintain full insulation depth from outside of wall to outside of wall, it is most advantageous to use raised heel trusses (https://www.hansenpolebuildings.com/2012/07/raised-heel-trusses/). Now, how to keep the insulation where it belongs? High R rigid insulation sheets can be cut to fit between the trusses, extending from the soffit supports to no less than one inch below the roof sheathing. A minimum one inch space must also be left between the inside of the eave strut and the insulation sheet. Product dependent, of course, the high R boards can offer an R value of approximately six per inch of thickness. Plywood or OSB (Oriented Strand Board) can also be used as a baffle, however either product is going to be heavier to work with, as well as not affording more than a minimal R value. This entry was posted in Insulation, Pole Barn Design, Building Overhangs, Pole Building How To Guides, Pole Barn Planning, Trusses, Ventilation and tagged enclosed overhangs, attic insulation, soffits, raised heel trusses, baffles on June 19, 2018 by admin. (1) Storage – if you ever believe anyone might ever in the future desire to climate control then provision should be made for making it easiest to make future upgrades. At the very least a reflective radiant barrier (single cell rather than wasting the money for the extra approximately 0.5 R from double bubble), an Integral Condensation Control (https://www.hansenpolebuildings.com/2017/03/integral-condensation-control/) or sheathing with 30# felt should be placed between the roof framing and roof steel to minimize condensation. If a concrete floor is poured (in ANY use building), it should be over a well sealed vapor barrier. For now we will assume this building is totally cold storage. If it might ever (even in your wildest dreams) be heated and/or cooled include the following in your initial design: Walls should have a Weather Resistant Barrier (https://www.hansenpolebuildings.com/2016/01/determining-the-most-effective-building-weather-resistant-barrier-part-1/) between the framing and the siding. Taking walls one step further would be ‘commercial’ bookshelf wall girts (https://www.hansenpolebuildings.com/2011/09/commercial-girts-what-are-they/). In the roof – have the trusses designed to support a ceiling load ideally of 10 pounds per square foot (read about ceiling loaded trusses here: (https://www.hansenpolebuildings.com/2016/03/ceiling-loaded-trusses/). 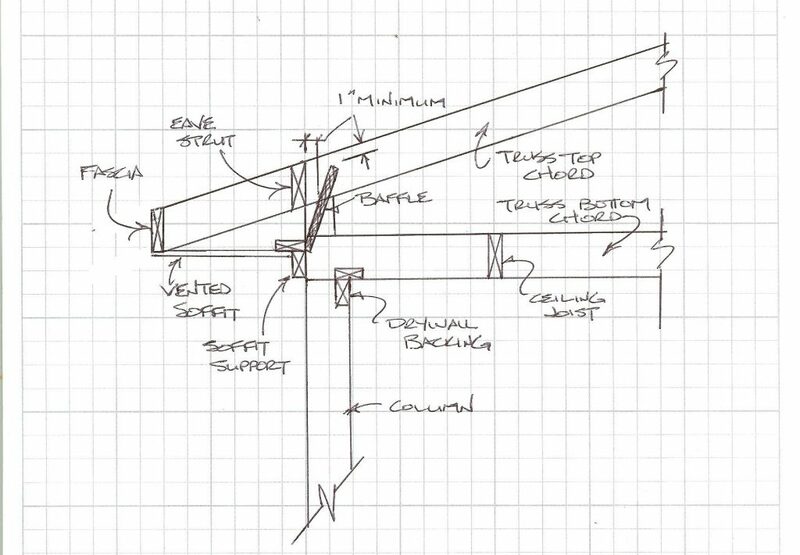 Trusses should also be designed with raised heels to provide full depth of future attic insulation above the walls (https://www.hansenpolebuildings.com/2012/07/raised-heel-trusses/). Make provision for attic ventilation, by having an air intake along the sidewall using enclosed ventilated soffits and exhaust with a vented ridge. Any overhead doors should be ordered insulated – just a good choice in general as, besides offering a minimal thermal resistance, they are stiffer against the wind. (2) Equine only use: Same as #1 with an emphasis upon the ventilation aspect. 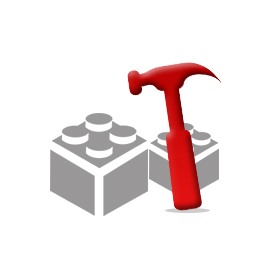 (3) Workshop/garage and (4) Garage/mancave/house are going to be the same – other than whatever the client is willing to invest in R value, being the major difference. Adding onto #1 for the walls the low end would be unfaced batt insulation with a 6ml visqueen vapor barrier on the interior. 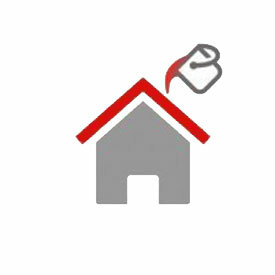 Other options (in more or less ascending price and R values) would be Mineral wool insulation as it is not affected by moisture (https://www.hansenpolebuildings.com/2013/03/roxul-insulation/), BIBs (https://www.hansenpolebuildings.com/2011/11/bibs/), closed cell spray foam in combination with batts and just the closed cell spray foam (https://www.hansenpolebuildings.com/2016/07/advantages-spray-foam-over-batt-insulation/). For added R value and a complete thermal break, add rigid closed cell foam boards to the inside of the wall. 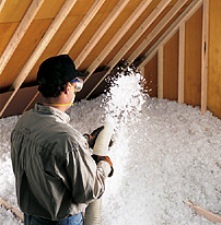 Once a ceiling has been installed, blow in attic insulation. For (4) a Frost-Protector Shallow Foundation (https://www.hansenpolebuildings.com/2016/11/frost-protected-shallow-foundations/) with sand on the inside rather than a thickened slab is an excellent and affordable design solution. For insulation solutions which follow the roof line, the best bet is going to be the use of closed cell spray foam, as it solves the potential condensation on the underside of the roofing and does not require ventilation above. In most cases, the steel trusses fabricated for post frame buildings are either not designed by a registered engineer, are not fabricated by certified welders or both – so it makes it difficult for me to recommend them as part of a design solution. With scissor trusses, they can be treated the same as a flat ceiling would be, provided the bottom chord slope is not so great as to cause blown in insulation to drift downhill. 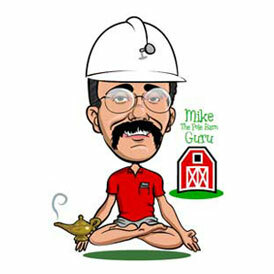 This entry was posted in Insulation, Pole Barn Questions, Pole Barn Design, Pole Building How To Guides, Pole Barn Planning and tagged ceiling loaded trusses, attic insulation, attic ventilation, raised heel trusses, bookshelf wall girts, weather resistant barrier, BIBS on June 15, 2018 by admin. I don’t know how old your pole building is, but if it is more than a year or two, you might as well plan upon replacing your roofing as three tab shingles just do not last. 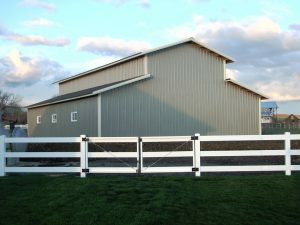 Look for cool metal roofing (https://www.hansenpolebuildings.com/2018/03/cool-metal-roofing/) as this will reduce your energy costs and may qualify for an income tax credit. Back to the question at hand……my opinions on how to best insulate a post frame building have evolved over the years, so today’s advice is better than yesterday’s and tomorrow could be an entirely different story. All of this is predicated upon changing technologies. 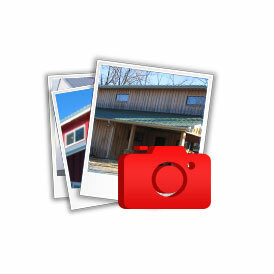 Adding building wrap – good choice. Make sure it is well sealed, tape and seams or tears. 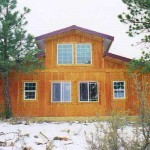 As your building is up, I’d look at adding an interior set of wall girts and then fill the cavity with BIBs (https://www.hansenpolebuildings.com/2011/11/bibs/ ). New construction would have different recommendations. To super insulate your walls, apply two inch or thicker high R insulation sheeting to the inside of the girts. With taped seams, this also acts as a vapor barrier. Otherwise use 6 mil clear visqueen as a vapor barrier, before applying gypsum wallboard. If you have enclosed vented soffits and a vented ridge, the next two paragraphs apply to your circumstance. The biggest challenge for your ceiling will be if the trusses are designed to support the weight, if so then it is full steam ahead, if not, you will need to contact the truss manufacturer for an engineered repair to upgrade them. Once you have drywalled the ceiling, you can blow in insulation to a depth appropriate for your area – a minimum of 15 inches thick, with 20 being even better. Chances are poor of your building having raised truss heels to allow for full insulation thickness as you approach the sidewalls. In this case, have closed cell spray foam insulation placed in the area closest to the walls, making sure to not impede the airflow from eave to ridge. Without ventilation provided for, the easiest route is to use closed cell spray foam under the roof deck. As closed cell foam will give you about an R-7 per inch, you would need 6-1/2 to 8-1/2 inches to give adequate resistance to heat loss. 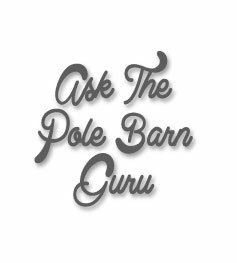 This entry was posted in Insulation, Pole Barn Questions, Pole Barn Design, Pole Building How To Guides, Trusses, Building Interior and tagged pole building, closed cell insulation, raised heel trusses, post frame building insulation on June 1, 2018 by admin. A Post Frame Shotgun House? Many believe the term “shotgun house” was due to a bullet could be fired through the front door and go right out the rear door without hitting any walls! More appropriately evidence has it the name shotgun house came from a corruption of the West African term “shogun” which means God’s House. Post frame construction lends itself aptly to the shotgun house style. Shotgun houses typically have one room leading into the next, without any hallways. It is particularly suited for hot climates, as the front and rear entry doors can be opened to allow for a breeze to flow through the entire house. On the front is a covered porch which provides shade for outdoor visiting. The most typical width for shotgun houses is 12 feet, which happens to be a very economical width in post frame construction. The same can hold true for length – using a 12 foot long covered porch, then multiples of 12 feet in length, in order to get the most bang for the buck. Post frame shotgun houses can be designed over open crawl spaces, several feet off of the ground. This affords yet another method of cooling as the shaded area beneath the porch and house will be cooler than the surrounding ambient air temperature. The narrow width of the shotgun house, allows for them to be constructed on urban lots which would otherwise be unable to be built upon. Many older cities have lots which were originally laid out in widths as narrow as 25 feet! 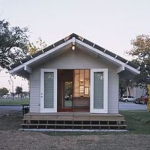 Considering an affordable design for a shotgun house? If so, investigate post frame, the savings may be a pleasant surprise! This entry was posted in Pole Barn Questions, Pole Barn Design, Building Styles and Designs, Pole Barn Planning, Pole Buildings History, Pole Barn Homes and tagged pole barn crawl space, raised heel trusses, Shotgun house, pole barn shotgun house, post frame constructiom, bookshelf style wall girts on August 1, 2017 by admin.